Have you ever dreamed of building your own log cabin? I know I have, and now, that dream can become a reality. Stonehouse Woodworks has been building log cabins in Golden, BC, for nine years. Located in the Rocky Mountains, it's a gorgeous setting for antique and new log buildings. "I became attracted to log homes while taking care of an off-grid hostel in Powell River," says instructor Dave Stonehouse. "There were lots of log buildings around, and I was mystified by how they were built. I realized the best way to discover this was to take a course, so I went to one in Ontario. After the course, I began my first log home building job in the Yukon." In 2015, Dave and Melanie Stonehouse started their own courses in Golden, BC. The British Columbia School of Log Building is a unique educational opportunity for them to share their knowledge and teach others how to construct log buildings—no prior experience required. "I want to be able to welcome everybody," says Dave. "Of course, any background in construction would help, but it’s not necessary." There are several courses available at the BC School of Log Building, depending what type of experience you’re looking for. Ranging from two days to three weeks, courses offer both dovetail and full scribe, round log construction. To keep the classes small and maximize learning, there’s a cap at 10 students per course. Although the attendees are mainly male, mother-son teams have taken the courses together, too. All students must be at least 18 years of age, but other than that, there are no prerequisites. Dave says that approximately half of the students apply their skills back home, whether they’re repairing their own houses or building a new one from scratch. The Dovetail Intro course teaches the basic techniques of a dovetail notch over three days. The course runs June 8 to 10, 2018 and costs $600. The Round Log Intro is a week-long course for $900. 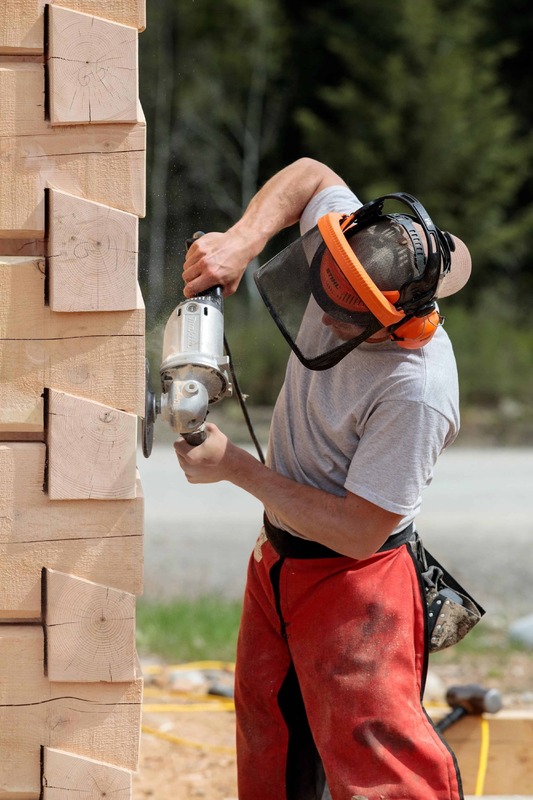 Running from June 18 to 22, 2018, students will learn tools of the trade, develop chainsaw skills and practice safe log building techniques while crafting a full scribe saddle notch picnic table. If you have more time to spare, the two-week Dovetail Extended teaches how to construct a traditional chinked dovetail log cabin. The course costs $1,750 and runs May 7 to 18 and October 15 to 26, 2018. 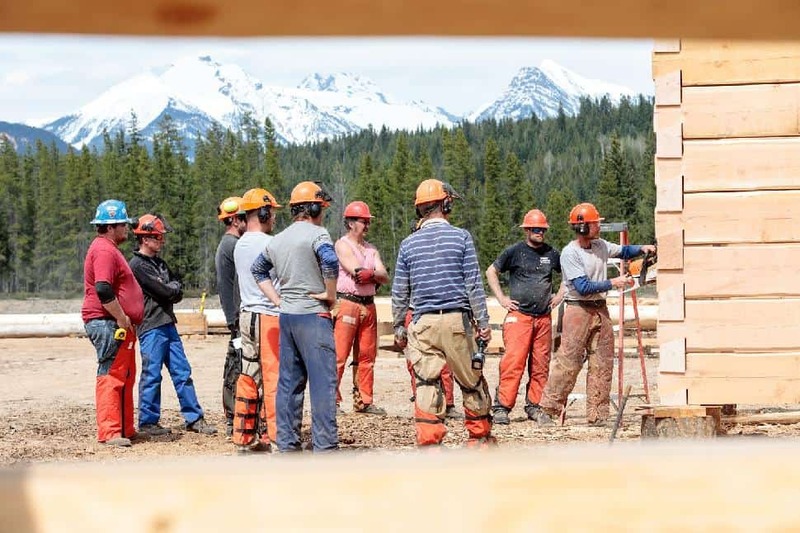 The Round Log Extended course lasts three weeks and is the most comprehensive course offered by the BC School of Log Building. 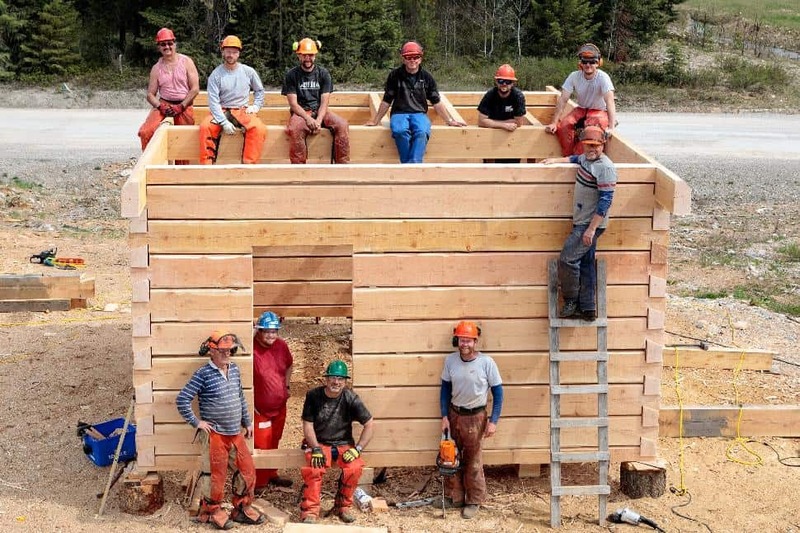 This course teaches techniques and knowledge necessary to build your own full scribe log house for $2,600, April 9 to 27 or September 10 to 28. If you’re just passing by, stop in for a one-hour Language of Logs tour to discover more about British Columbia’s sustainable log building industry, the types of trees used and how log buildings are transported and set up. 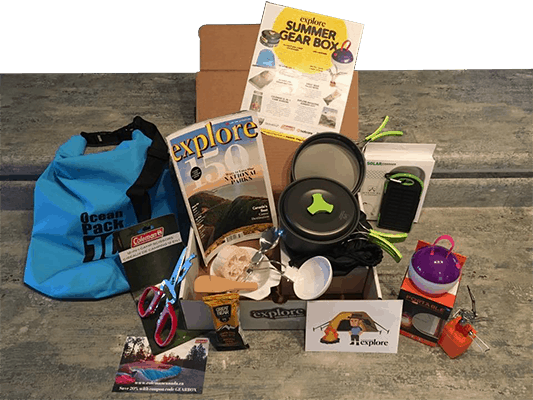 These courses are more than just an educational experience: they include the rare opportunity for people from around the globe to get together and learn a new craft. “The building aspects are the most important, but the whole experience of bringing strangers together and building something is my favourite part. 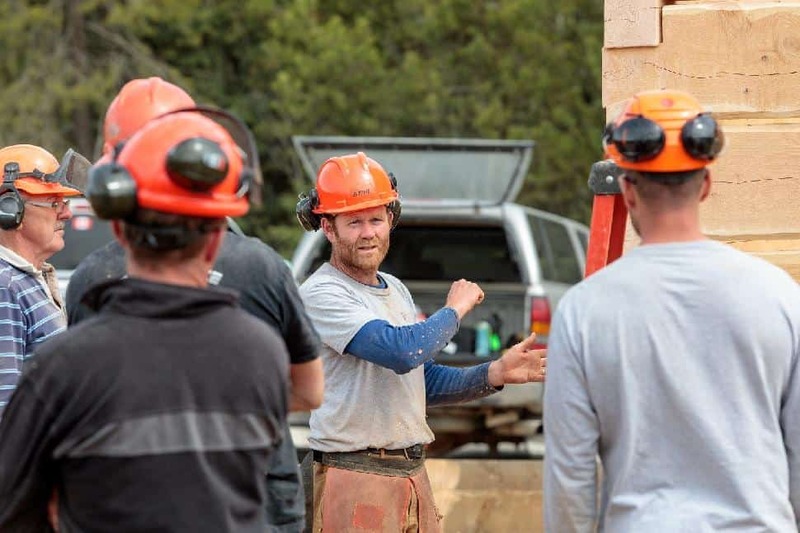 You're building a home, yes, but also building connections with like-minded people. That’s what makes it so rewarding,” says Dave. To see the full list of courses available for 2018, visit their website: stonehousewoodworks.com. Where is the BC School of Log Building? 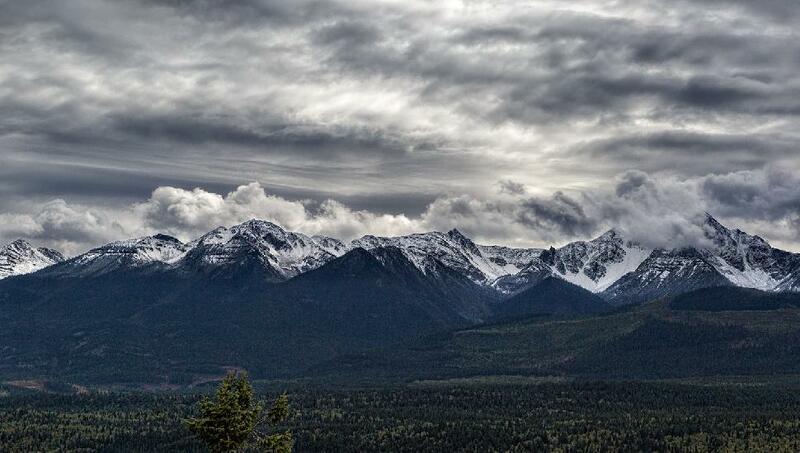 Located in the heart of the Rockies, Golden is a hotbed of adventure. 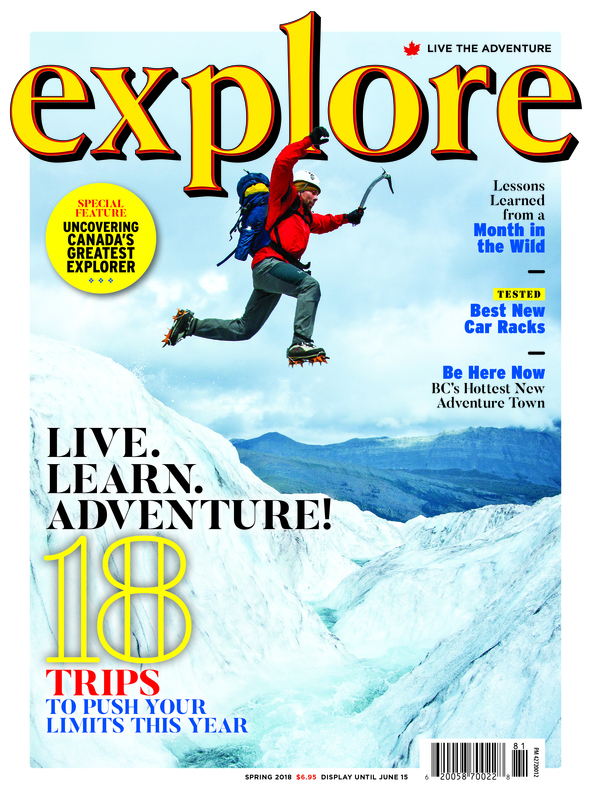 From whitewater rafting on the Kicking Horse River to building your own log cabin at the BC School of Log Building, this stunning section of British Columbia is an explorer's playground. How to get there? Golden is located 150 km east of Revelstoke and 265 km west of Calgary along Highway 1. This article was brought to you by Stonehouse Woodworks.